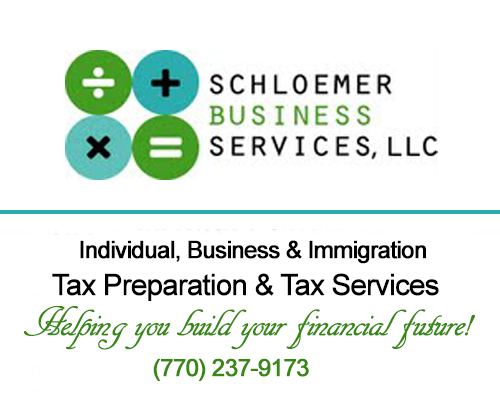 Schloemer Business Services, LLC offers Tax Preparation Services: There are many residents living in the United States who are immigrants, foreign nationals, US permanent residents, or US citizens who have substantial assets in other countries such as India, Germany or France – Schloemer Business Services, LLC international tax services can help. When immigrants first arrive to work in the U.S., in addition to learning about customs, the language and the currency, they must understand the U.S. tax system. In the U.S., everyone who earns an income is required to file a tax return. International Bookkeeping and Tax Preparation. Many of our clients live in the Atlanta area or in another state also have business interests in other countries. If you have business interests or real estate that generates income, this could be a tax U.S. liability. Consult with one of the countries leading virtual bookkeeping and tax planning experts, Schloemer Business Services, LLC that specializes in international tax preparation. Expatriate Taxation – Special Needs: Individuals and small business owners living in the United States but are not US citizens but have US income are faced with unique special tax issues. You may have 100% of your income in the United States but technically still be a citizen of a foreign country like Germany, France, or Mexico. You may be a permanent resident, or you may be a student here on a student visa. Many people come to us with H1 visas as well. If you have 100% or 80% income in the U.S. or a small percentage in another country, it’s important to talk with a tax professional that understands International tax laws for immigrants, their families and assets. Immigration Tax Filing, W7s, ITINs: Immigrants regardless of their immigration status who work in the U.S. must file an annual tax return for both the Federal (IRS) and State Department of Revenue. 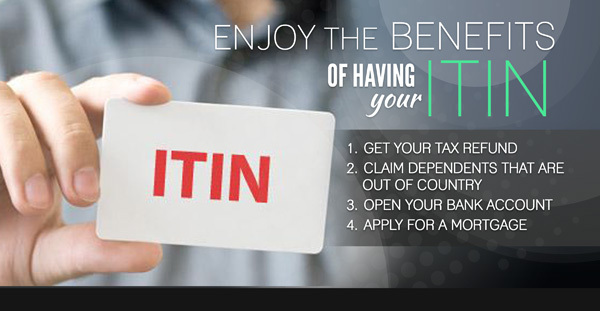 The must apply and obtain an Individual Taxpayer Identification Number (ITIN) for themselves and any member of their family they plan on claiming as a dependent before you can file a tax return. Schloemer Business Services, LLC can help you apply and obtain your ITIN. Who needs an ITIN? According to the IRS: IRS issues ITINs to foreign nationals and others who have federal tax reporting or filing requirements and do not qualify for SSNs. A non-resident alien individual not eligible for a SSN who is required to file a U.S. tax return only to claim a refund of tax under the provisions of a U.S. tax treaty needs an ITIN. Schloemer Business Services, LLC, an Atlanta based tax preparation and bookkeeping services company works with clients virtually across the United States. We appreciate your trust in our bookkeeping and tax preparation services. When you refer clients to us, you are expressing your faith and confidence in us. If you have friends or business owners who need professional bookkeeping services, professional tax assistance or immigration tax services, we appreciate your referral. You can be assured that their bookkeeping and tax preparation needs and business services are completely confidential.